I may have mentioned previously that I am also the Style Editor for national college women's publication Her Campus.com. If I haven't...well, there you go! I am so excited to speak about the freelancing life at the upcoming Her Campus National Intercollegiette Conference, where HC staffers from all across the country come to meet and learn about the media industry. While the conference is normally only for HC staffers, this year there's a second day component where all readers are invited to attend, followed by some rad networking with panelists (I'll be there, too!). So if you're an HC reader, come stop by the conference and check out some more information here. 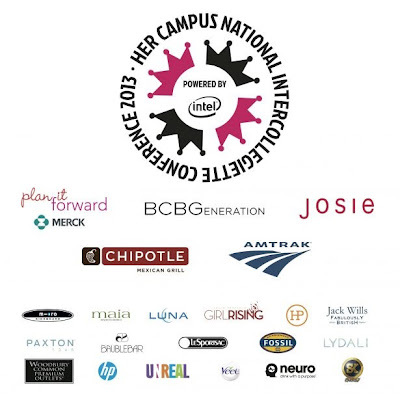 It's super affordable and chock full of unique opportunities (speakers from Teen Vogue, Glamour, Seventeen, SELF, Lucky, and much more, plus free Chipotle lunch, goody bags, and more!). I highly recommend it!